The Trestle Inn in Callowhill. Like bourbon cocktails? Like really cute pets? Head to the 3rd Annual Bourbon Battle at The Trestle Inn Wednesday, March 25, to taste a flight of drinks and make a donation to the Philadelphia Animal Welfare Society all at once. Four bartenders from around the city will create their own unique cocktails using Woodford Reserve Kentucky straight bourbon whiskey. The crowd will taste each one in a sampler flight while munching on complimentary small bites before casting a vote for the winner. Reigning champ Jonny Sherlock of The Industry will defend his title against Alison Hangen of The Olde Bar, Neill Laughlin of Sassafras and Katie Loeb of The Trestle Inn. 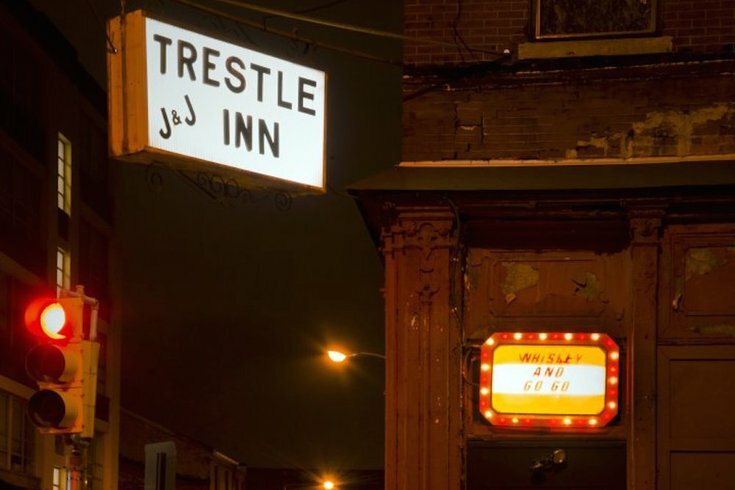 The Callowhill bar will host a 50/50 raffle and a silent auction benefiting PAWS during the night, and The Trestle Inn's go-go dancers will be in full swing. Each ticket sold for the event includes a $20 donation to PAWS, which will be on hand to answer questions about the organization and pet adoption. The event has sold out in recent years, so be sure to grab tickets now.